Neptune is the first planet to be completely invisible to the unaided human eye on Earth, only discovered indirectly by solving the mystery of perturbations in the orbit of Uranus. Accordingly, Neptune represents the transcendence of visible limits, signifying mystery, spiritualism, dreams, fantasy, escapism, irrationality, illusions, delusions. It also has special significance for drugs and pharmaceuticals, mass entertainment, trends in mainstream music and movies. The condition of Neptune at the time of our birth shows what role we may play in our 14-year generation’s collective idealism in the topics of its sign and house placement. 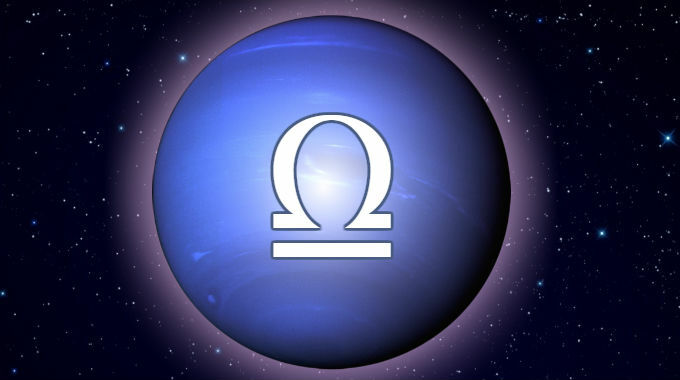 Neptune in Libra is in a cardinal air sign, dissolving, synthesizing, idealizing and artificially reconstructing the significations of its ruler Venus, such as the notions of peace, balance, harmony, equality, arts and relationships. People from this 14-year span of time may stand out as peaceful and artsy as a group, and individuals with aspects from Neptune to more personal planets and points may stand out as their visionary peacemakers and artists. People also take on characteristics of the time they come from. Accordingly, the 1942-1957 Neptune in Libra period made the Venusian goal for harmonizing and making peace a major ideal that crossed barriers and boundaries. This was when World War II ended and the United Nations was established to foster global cooperation and prevent further wars. This was when Gandhi (a Libra) achieved India’s independence through nonviolence. Mass entertainment from this time featured the cheerful and blithe distractions of musical movies. The older children born from this generation ended up becoming the anti-war New Left, the hippies, the peace generation: “Make Love Not War”. LSD was discovered in this period, which was a big part of the counterculture formed by the generation born at this time. This was also when Alfred Kinsey was conducting pioneering research into human sexual behavior and relationships. This is especially true if you were born with Libra rising. Whether you experience the better or worse significations of this position depends on whether you were born during the day or at night, and the kind of aspects it makes with the other planets.